Cardiff is the capital city of Wales and situated on the coast in south wales. It has a population of just under 350,000 people. As the capital city of Wales, it has many cultural and historic places of interest and the Welsh parliament is based in Cardiff. January is usually the coldest month in the year with average low temperatures of 3 degrees. July is the warmest month with average high temperatures of 21 degrees. Cardiff has its own international airport and operates many direct flights across Europe. It also operates direct flights to some destinations in the Carribean, as well as indirect flights to USA and India. Heathrow airport is about 140 miles away. Cardiff University opened its doors on 24 October 1883 and was formally established by Royal Charter in 1884. The university was originally called the University College of South Wales and Monmouthshire. Cardiff merged with the University of Wales Institute of Science and Technology (UWIST) in 1988. 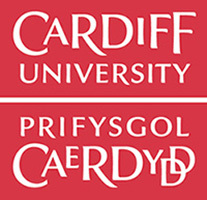 In 1999 the public name of the University changed to Cardiff University. In 2004 Cardiff merged with the University of Wales College of Medicine. The College of Medicine was part of the original University but had split off in 1931, making this a reunification. The university is now independent of the University of Wales and degree certificates now state Cardiff University degrees. Most of the halls of residence are within one mile of the main campus which is called Cathay’s Park. The university hall of residence furthest from the main campus is University hall which is 1.75 miles away. Cathay’s Park is located in the centre of the city in and around the city’s civic centre. The other campus is Heath Park which shares its location with the University Hospital Wales. All medical/dental students are based here. Heath park is just over 1.5 miles from the main Cathay’s campus. Cardiff university is currently ranked =187th in the Times Higher Education World University rankings. Cardiff is ranked 101-150 in the Shanghai Jaio Tong rankings and is a member of the Russell group of universities. Cardiff university is ranked =83rd in the National Student Survey Satisfaction rankings. Cardiff has just under 6,000 international students at the university, representing over 100 countries and 21% of total student numbers. Cardiff has a total student population of 28,540 students, made up of just over 21,000 undergraduates and just over 7,500 postgraduates. HESA govt statistics show that 95.1% of Cardiff graduates are in employment or in further education 6 months after graduation. However, a breakdown of post-graduation employment by course, showing the split into professional/managerial positions, rather than general employment figures, is available from Unistats an independent source of university data. For more information, please visit the REF Information page. The Cardiff University Sports Training Village is situated on the halls of residence site at Talybont. It hosts the majority of indoor sports clubs and is the location of 3 floodlit artificial pitches. There are other sports facilities, including fitness suite/squash courts at the central Cathay’s campus. The 33 acre university sports field site is located six miles to the east of the city centre campus. Cardiff has over 200 clubs and societies run by the student union. It has a 1,600 capacity venue for major concerts and its own comedy club. Undergraduates and overseas/EU postgraduates (arriving in September) are guaranteed a university place for their first year. Cardiff offers both catered and self catering options for undergraduate students. The lowest price for a single room with shared bathroom and kitchen facilities is £95.32 per week. Catered accommodation is available in female only halls and an example price is £130.55. Fees for full time undergraduate courses start at £16,950 for Arts subjects rising to £17,650 for Business related subjects and up to £20,950 to study most Science or Engineering related subjects. Cardiff offers a range of postgraduate courses, predominantly MSc qualifications, that can be completed online. 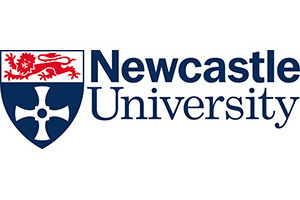 The courses are all related to medical studies and include; Practical dermatology MSc & Palliative medicine MSc. 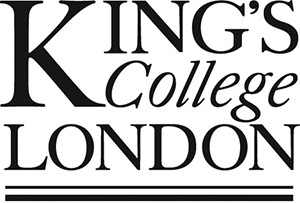 Some courses require some direct contact time, per year, but there are centres in other areas of the world where this face to face work can be completed.